Pericytes are mural cells that contribute to vessel maturation and control endothelial barrier function. Despite their pivotal role in the vascular system, knowledge is sparse on molecular regulatory mechanisms of pericyte cell biology. Here, we show for the first time that a long noncoding RNA is essential for pericyte function, proliferation, and differentiation. Our findings on the regulation of ER stress by HypERlnc may have a broad translational impact. ER stress has been shown to be involved in various disease states, including heart failure. 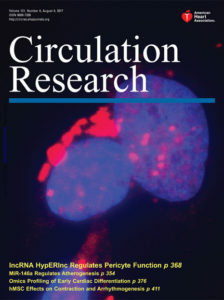 Our findings that HypERlnc is significantly deregulated in human heart failure and significantly correlates with pericyte differentiation markers in human lungs indicate that HypERlnc may have a role in human cardiopulmonary disease. 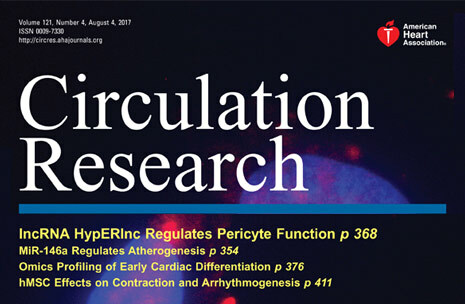 The identification of a HypERlnc orthologue in mouse pericytes will enable to perform translational studies that may substantiate these findings in vivo and elucidate the role of HypERlnc in cardiopulmonary disease.